Australia’s Royal Flying Doctor Service has received its first Pilatus PC-24 ahead of they type’s expected entry into service in early 2019. The aircraft, MSN105, was handed over at the manufacturer’s Stans facility in Switzerland on November 26. It will be used by Perth-based RFDS Western Operations. 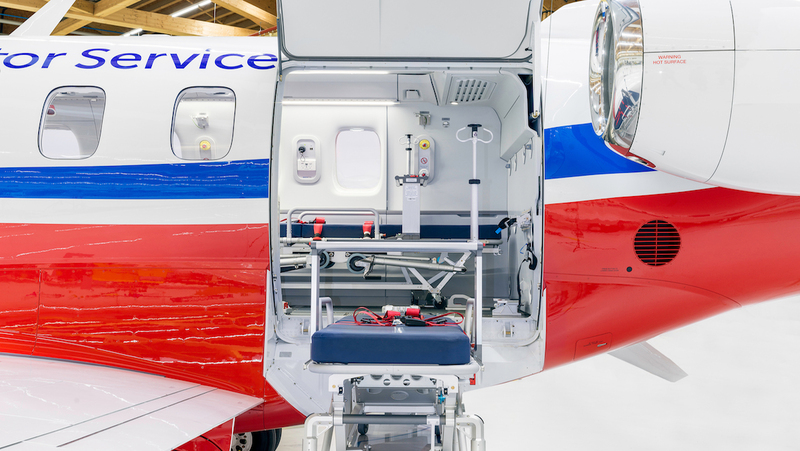 Pilatus said in a statement the aircraft’s interior was installed under a supplemental type certificate procedure in partnership with Aerolite AG, which specialised in aircraft medical interiors. Further, RFDS Western Operations was the first organisation to use the Super Versatile Jet as a medevac aircraft, with the cabin able to carry medical equipment and beds for three patients and additional seats for medical staff. 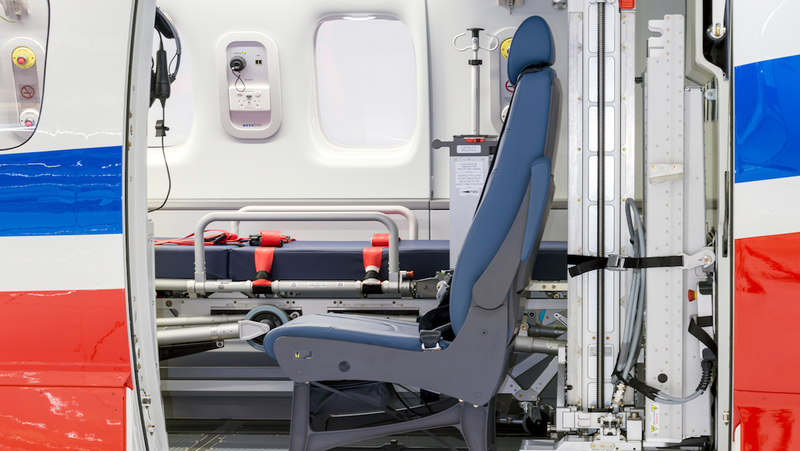 The cabin was designed to allow fast, flexible modification for maximum freedom, while a large cargo door and electric stretcher loading device enabled the safe loading and unloading of patients. “Individual oxygen, vacuum and power systems ensure multi-parameter patient monitoring and support,” Pilatus said. The first RFDS PC-24 made its first flight in May 2018. 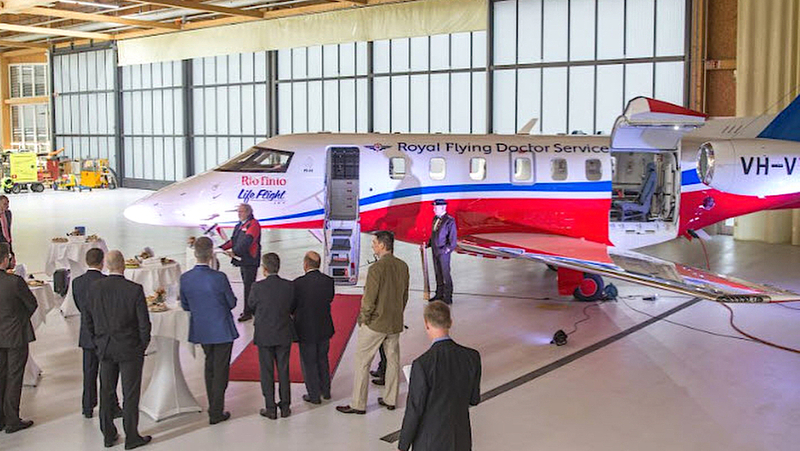 RFDS chief executive Rebecca Tomkinson, who was at the official handover ceremony, said the organisation was proud to be introducing the first PC-24 into service in Australia. 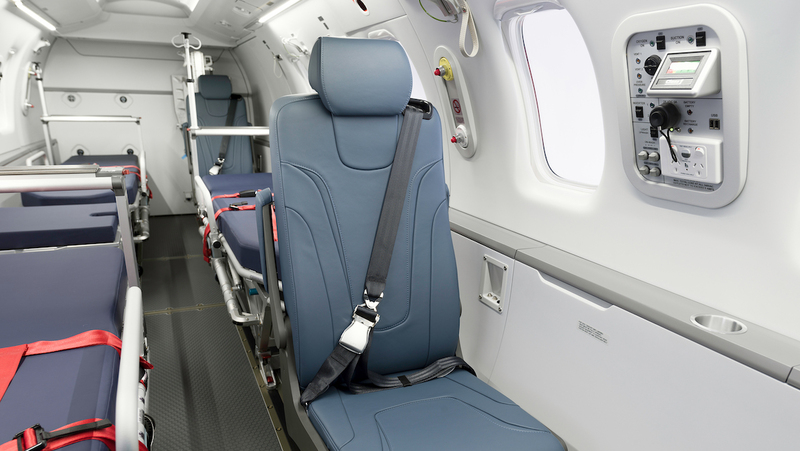 “The innovative aeromedical interior is the first of its kind in the world – a game changer for patient outcomes and improving health care to regional and remote Australians,” Tomkinson said in a statement. 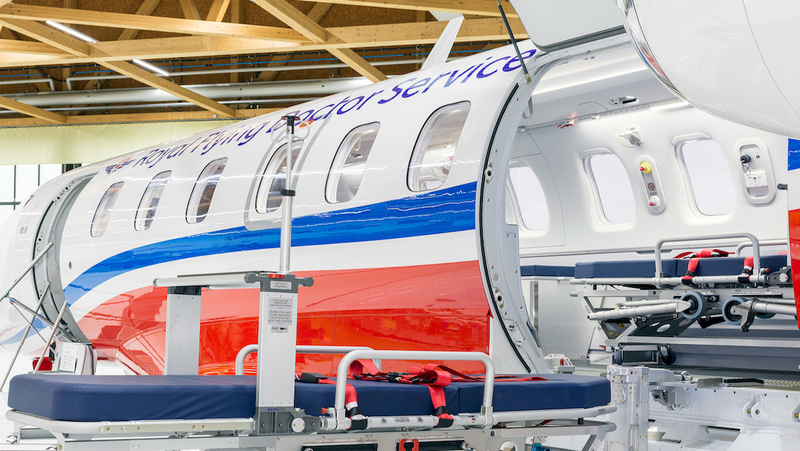 Pilatus chairman Oscar Schwenk described the PC-24 as an aircraft that would be known as the “emergency ward in the sky”. “I am positive that the PC-24 will ideally supplement the existing fleet of PC-12s of the RFDS,” Schwenk said. The RFDS is an existing Pilatus operator, with about 30 PC-12s in service across its various operations around Australia. RFDS Central Operations, based in Adelaide, also has PC-24 aircraft on order. VIDEO: A May 2018 video of the first flight of the first RFDS PC-24 from the Pilatus YouTube channel.